7 Plant-Based Superfoods - You Should Eat Daily For Glowing Skin? Gorgeous skin that glows, is clear and ages gracefully has a lot to do with lifestyle factors such as your exposure to pollution, stress levels, and sleep health. One of the largest lifestyle factors that you can control is your nutrition. What you eat daily impacts your skin health in a large way. One single food doesn’t work miracles but each individual superfood noted has specific nutrient(s); a specific vitamin or mineral that can be supportive to your skin health. Walnuts are an outstanding vegan source of Omega-3 fatty acids as well as Omega-6’s. Omega-3 from walnuts can be supportive to keep the balance of Omega-3: Omega-6 in check. Our diets are naturally higher in Omega-6’s, which can lead to an imbalance and create more inflammation. Providing Omega-3’s may fight inflammation in the body as a whole; and combating inflammation is key to beautiful skin. Inflammation may present itself for example as redness or irritation. Excess or chronic inflammation can also lead to accelerating the aging processes. Walnuts will also help contribute to your total Zinc consumption for the day. Zinc plays a role in skin healing and this may impact your skins appearance. Omega-3 from walnuts can also support the health and integrity of cell membranes in our body; including our skin cells. This is vital because cell membrane health is directly correlated to the cells hydration and nourished appearance to the skin. In addition, Omega 3 deficiency has been associated with increased skin dryness; it is ideal to try to consume foods rich in omega-3 when possible. Don’t eat walnuts and want another source of vegan omega-3? Try out supplemental form of omega-3 from algae, rich in DHA. Choosing berries as your fruit of choice is the go to move for beautiful skin. Blueberries, raspberries and blackberries offer a variety of different types of antioxidants that combat free radicals. Why is this important? Free radicals can wreak havoc on our bodies and cause damage to some of our precious skin cells. Berries are rich in Vitamin A, C and antioxidants known as querticin and anthocyanidin. Our bodies need Vitamin C to make collagen (which keeps our skin looking youthful and healthy). Carrots are extremely rich in a nutrient known as Beta-carotene. Beta-carotene is a precursor to Vitamin A in the body, and it is also a powerful antioxidant known as a carotenoid. Consuming foods with high levels of carotenoids are beneficial to the skin as they influence the antioxidant network in the body- specifically as it relates to photoaging of the skin and the eyes. Consuming Beta-carotene rich foods may also provide natural sun protectant properties to the skin. Research suggests the regular carotenoid consumption may also get in the way of collagen, break down in the skin, and support the integrity of the extracellular matrix. Don’t love carrots? Want a different plant based superfood rich in Beta-carotene? You can also consume, kale, spinach, dandelion greens, collards, pumpkin, and sweet potatoes! Turmeric could very well be my personal favorite superfood. Turmeric is a spice from the turmeric root. 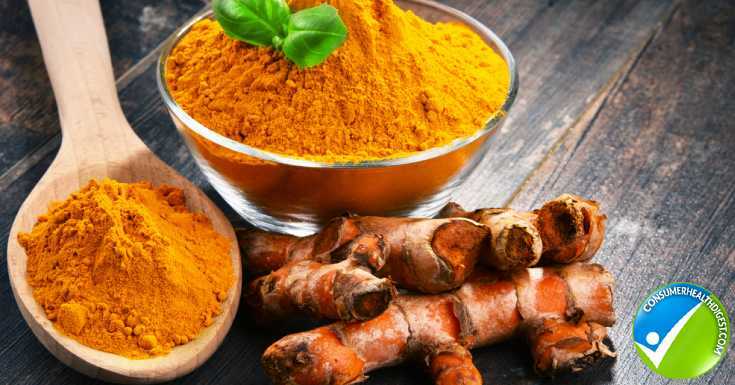 A lot of literature on turmeric involves a constituent found in the spice known as curcumin which may be responsible for much of the health properties associated with its consumption. Curcumin fights inflammation, in fact it goes right to inhibiting a pro-inflammatory protein known as NF-Kappa beta. Curcumin consumption has also been studied in prevention of skin thickening, as well as prevention of loss of skin elasticity. Some studies suggest it may also support wound healing. It is a powerful antioxidant that combats inflammation combatting multiple inflammatory proteins. Adding turmeric is not only supportive of skin health but your overall health. Raw cacao can be incorporated into the diet and be a rich source of flavanoids. Regular flavanoid consumption provides the body with antioxidant potential that can combat free radical damage and may support improved skin elasticity. Flavanoid consumption from Raw Coca may also help to modulate wrinkle progression in aging skin. In addition, flavonoids may support healthy blood flow, which is important for nutrient delivery and overall radiant skin. If you’re looking for a plant based food that is powerful for your skin health and overall health- look no further than fermented vegetables. Sauerkraut and Kimchi for example are outstanding fermented veggie options and their secret? Probiotics! The probiotics or healthy/good bacteria found in fermented foods is outstanding for your gastrointestinal health. Supporting your glowing skin. There is a connection between inflammation in the gut and inflammation other places in the body and this can manifest on your precious skin. Remember, your GI tract is where your nutrition absorption happens; and you need a healthy intestinal tract for optimal nutrition absorption. Supporting a healthy gut flora and providing healthy bacteria to your tummy supports nutrient absorption and delivery to your entire system and this includes your skin. Almond butter is a winner when it comes to skin health for its Vitamin E content, and nourishing healthy fats. Vitamin E can act as an antioxidant in the body fighting of oxidative damage that could lead to skin damage at the cellular level. Vitamin E is acting to fight inflammation and this may be supportive for associated inflammation that is expressed outwardly on your skin (such as acne, or general redness and inflammation). When you consume almonds, you will be not only attaining Vitamin E, but you will also be consuming a nice dose of plant-based protein. Protein is needed in the body to build and repair and when it comes to skin we can certainly use this type of support- almonds don’t contain all of the amino acids (little proteins) we need to support our skin structure but it can be a contributing food source in your diet. Incorporating these powerhouse foods into your diet can be the start to fighting back at inflammation and supporting your skin from the inside out. It is important to feed the skin with nutrition and not just topical approaches alone. Many times, switching your diet from processed, sugar and chemical laden foods over to a more antioxidant, omega-3, protein rich diet with less processed foods- will lead to noticeable changes in overall skin health and appearance. Our bodies express themselves, and our skin can be the first representation of what is going on internally. Start with these 7 foods and cut back a bit on processed high sugar food items and see how your skin looks and feels over time.